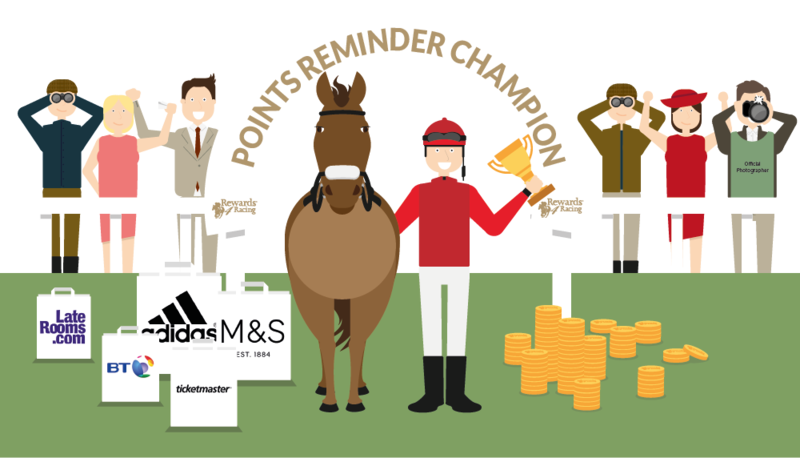 MAKE COLLECTING REWARDS4RACING POINTS EASIER AND BECOME A POINTS REMINDER CHAMPION! Unfortunately our Points Reminder is only available for desktop computers & laptops. The Rewards4Racing Points Reminder is owned and managed by Rewards4Racing Limited ("we" or "us"), the providers of the Rewards4Racing website and services. You do not have to be a Rewards4Racing Member to download the Points Reminder, however you do have to be a Rewards4Racing Member to be able to earn Rewards4Racing points promoted via the Points Reminder. The Points Reminder is free to download and flags those retailers with an active Rewards4Racing points offer either when you perform a search for your favourite retailers on your preferred search engine or when you are on the webpage of a retailer with an active points offer. The Points Reminder identifies the addresses (the URLs) of the individual websites you visit (each a "visited site") in order to check whether the visited site is a Rewards4Racing retailer, and (if so) whether it offers Rewards4Racing points. In addition, we store this information to improve your user experience when using the Points Reminder. We take your privacy seriously and are committed to protecting it. While the Points Reminder does collect personally identifiable information relating to your use of it, this is principally to identify your visited sites, alert you that Rewards4Racing points are available and improve your user experience. The Points Reminder does not expose you to any advertisements other than the Rewards4Racing points relevant to the retailer you are visiting. The Points Reminder is easy to uninstall using the standard deactivation and uninstall features available in your chosen web browser.